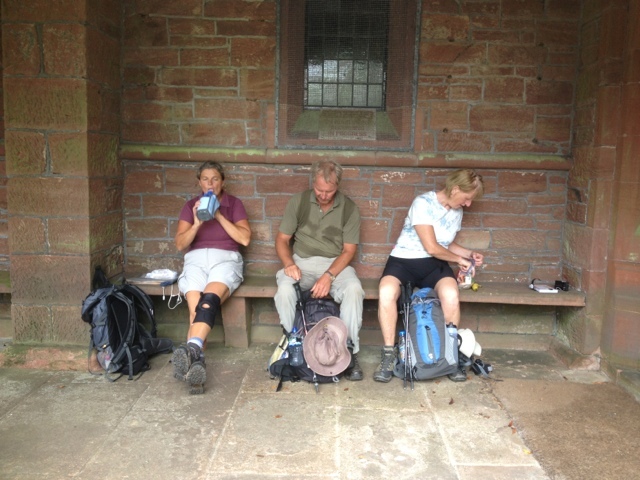 14.9 miles, 5:24 time, highest point 353 m.
Day 1 of the walk. 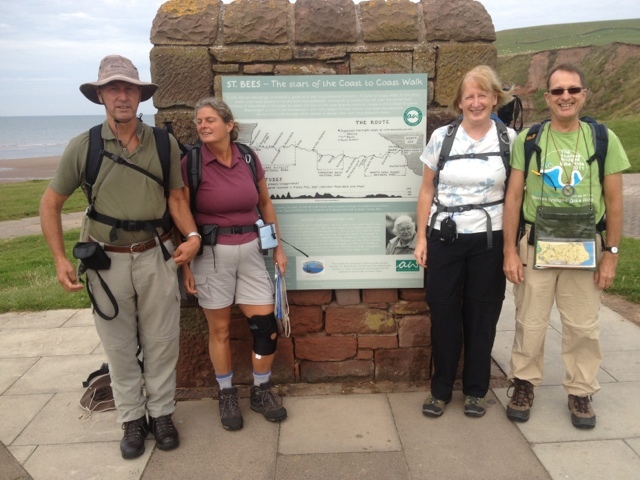 St Bees to Ennerdale Bridge (15 miles) with one climb up to 353m. 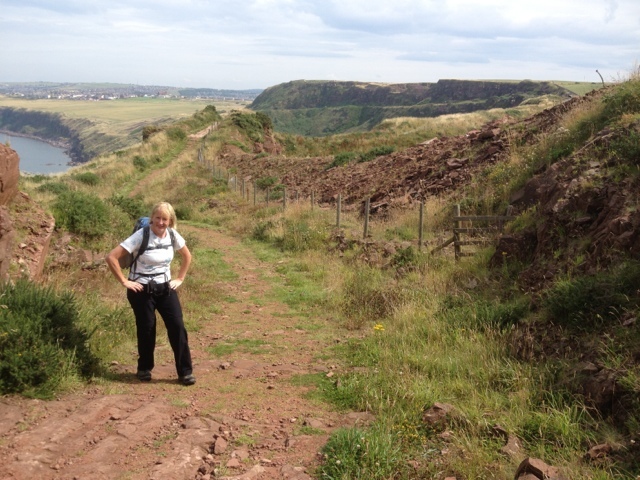 Good days walking with near perfect weather. No blisters yet . Tired enough to go to bed straight after dinner. Started at 10:15 after a photo opportunity at the Mile Zero monolith. Passing Birkham's quarry where we saw a peregrine. The highest point was Dent at 353 m above sea level. 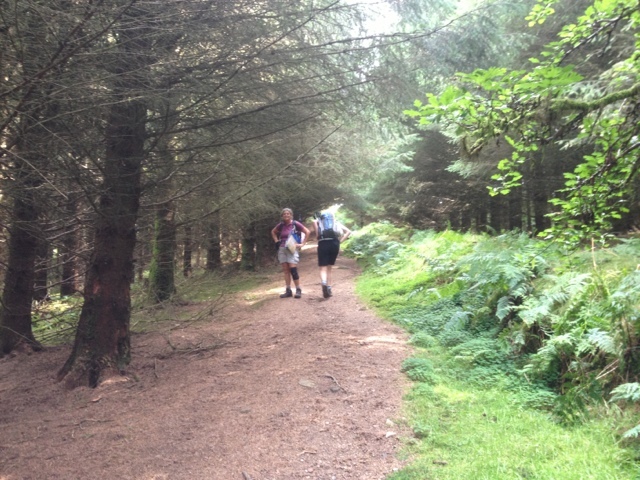 The up hill was woody, the downhill was open fell and very steep. Our destination was the Shepherd's Arms but due to flooding we were reallocated to The Stork Hotel, Rowrah. Time for a shower, short lie down, a beer, supper and an early night.